"Alpheias" redirects here. For the genus of moths, see Alpheias (moth). In Greek mythology, Arethusa (/ˌærɪˈθjuːzə/; Greek: Ἀρέθουσα) was a nymph and daughter of Nereus (making her a Nereid), who fled from her home in Arcadia beneath the sea and came up as a fresh water fountain on the island of Ortygia in Syracuse, Sicily. 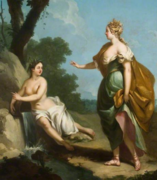 The myth of her transformation begins in Arcadia when she came across a clear stream and began bathing, not knowing it was the river god Alpheus, who flowed down from Arcadia through Elis to the sea. He fell in love during their encounter, but she fled after discovering his presence and intentions, as she wished to remain a chaste attendant of Artemis. After a long chase, she prayed to her goddess to ask for protection. Artemis hid her in a cloud, but Alpheus was persistent. She began to perspire profusely from fear, and soon transformed into a stream. Artemis then broke the ground allowing Arethusa another attempt to flee. 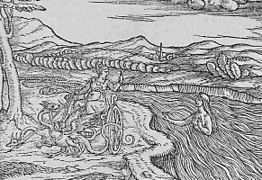 Her stream traveled under the sea to the island of Ortygia, but Alpheus flowed through the sea to reach her and mingle with her waters. Virgil augurs for Arethusa a salt-free passage beneath the sea on the condition that, before departing, she grant him songs about troubled loves, not those in her own future, but those of Virgil's friend and contemporary, the poet Cornelius Gallus, whom Virgil imagines dying from unrequited love beneath the famous mountains of Arcadia, Maenalus and Lycaeus. The Roman writer Ovid called Arethusa by the name "Alpheias", because her stream was believed to have a subterranean communication with the river Alpheius, in Peloponnesus. Apart from retellings by classical authors including Ovid and Virgil, Percy Bysshe Shelley wrote a poem on Arethusa in 1820. As a patron figure of Syracuse, the head of Arethusa surrounded by dolphins was a usual type on their coins. They are regarded as among the most famous and beautiful Ancient Greek coins. Karol Szymanowski, polish classical music composer named "The Fountain of Arethusa" first of his three poems entitled "Myths" for violin and piano. The Saucy Arethusa is an 18th-century song about a British naval ship named after Arethusa. A song on the album Her Majesty the Decemberists by The Decemberists called "Shanty for the Arethusa" is about a different ship called Arethusa. A movement of Benjamin Britten's oboe piece Six Metamorphoses After Ovid is entitled "Arethusa." Also Ralph Vaughan Williams, the English classical music composer, composed "Sea Songs", a quick march for both brass band and wind band written in 1923, used a Morris Dance tune 'The Royal Princess' which was also known by the title 'The Arethusa', alongside two other shanty tunes 'Admiral Benbow' and 'Portsmouth'. 'The Princess Royal' is one of the most celebrated of Turlough O'Carolan's compositions, largely because of its association with the words of the song 'The Aretusa', to which it was set by Shield toward the end of the eighteenth century. The song of 'The Aretusa' originally appeared in a small opera or musical entertainment called 'The Lock and Key', which was acted in 1796. The Princess Royal was composed for the eldest daughter in Carolan's time of The MacDermott Roe of Coolavin. It is perhaps worth mentioning that there is an English folk song, of fairly wide distribution in England which is entitled 'The Princess Royal' but has no connection with Carolan's melody. ^ Virgil, Bucolics 10.1–15 Virgil; John Van Sickle (2011). 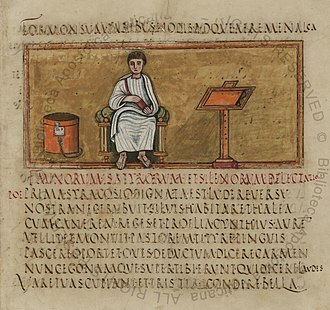 Virgil's Book of Bucolics. The Ten Eclogues Translated into English Verse Framed by Cues for Reading Aloud and Clues for Threading Texts and Themes. Baltimore: Johns Hopkins University Press. pp. 109–112. ISBN 0-8018-9799-8. ^ Schmitz, Leonhard (1867). "Alpheias". In William Smith. Dictionary of Greek and Roman Biography and Mythology. 1. Boston: Little, Brown and Company. p. 133. Archived from the original on 2008-06-13. ^ Ovid (1997). William S. Anderson, ed. Metamorphoses. Norman, Oklahoma: University of Oklahoma Press. p. 548. ISBN 0-8061-2894-1. ^ Paul Fraser Coins[permanent dead link], "In his definitive 1990 book "Ancient Greek Coins", the numismatist G. K. Jenkins describes Syracusan decadrachms of this period as "perhaps the most famous of all ancient coins"." Wikimedia Commons has media related to Arethusa (mythology). Look up Arethusa in Wiktionary, the free dictionary. Chisholm, Hugh, ed. (1911). "Arethusa" . Encyclopædia Britannica. 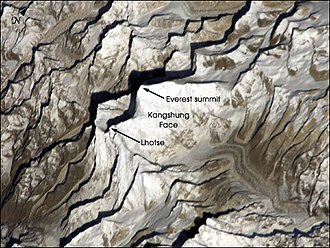 2 (11th ed.). Cambridge University Press. p. 456. The Peloponnese or Peloponnesus is a peninsula and geographic region in southern Greece. It is separated from the part of the country by the Gulf of Corinth. During the late Middle Ages and the Ottoman era, the peninsula was known as the Morea, the peninsula is divided among three administrative regions, most belongs to the Peloponnese region, with smaller parts belonging to the West Greece and Attica regions. In 2016, Lonely Planet voted the Peloponnese the top spot of their Best in Europe list, the Peloponnese is a peninsula that covers an area of some 21,549.6 square kilometres and constitutes the southernmost part of mainland Greece. It has two connections with the rest of Greece, a natural one at the Isthmus of Corinth. The peninsula has an interior and deeply indented coasts. 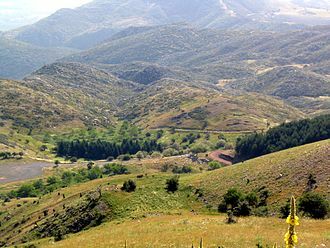 The Peloponnese possesses four south-pointing peninsulas, the Messenian, the Mani, the Cape Malea, mount Taygetus in the south is the highest mountain in the Peloponnese, at 2,407 metres. Οther important mountains include Cyllene in the northeast, Aroania in the north and Panachaikon in the northwest, Mainalon in the center, the entire peninsula is earthquake prone and has been the site of many earthquakes in the past. The longest river is the Alfeios in the west, followed by the Evrotas in the south, extensive lowlands are found only in the west, with the exception of the Evrotas valley in the south and in the Argolid in the northeast. The Peloponnese is home to spectacular beaches, which are a major tourist draw. Two groups of islands lie off the Peloponnesian coast, the Argo-Saronic Islands to the east, the island of Kythera, off the Epidaurus Limera peninsula to the south of the Peloponnese, is considered to be part of the Ionian Islands. The island of Elafonissos used to be part of the peninsula but was separated following the quake of 365 AD. Since antiquity, and continuing to the present day, the Peloponnese has been divided into seven regions, Corinthia, Arcadia, Messinia. Each of these regions is headed by a city, the largest city is Patras in Achaia, followed by Kalamata in Messinia. The peninsula has been inhabited since prehistoric times and its modern name derives from ancient Greek mythology, specifically the legend of the hero Pelops, who was said to have conquered the entire region. A hamadryad is a Greek mythological being that lives in trees. They are a type of dryad, which are a particular type of nymph. Hamadryads are born bonded to a certain tree, some believe that hamadryads are the actual tree, while normal dryads are simply the entities, or spirits, of the trees. If the tree died, the associated with it died as well. For that reason and the gods punished any mortals who harmed trees, the cracker butterfly is more arboreal than most butterflies, as it commonly camouflages itself on trees. It feeds on sap, rotting fruit and dung, the hamadryas baboon is one of the least arboreal monkeys, but was the most common monkey in Hellenic lands. Hamadryad is referenced as a whole in Edgar Allan Poes poem, Hamadryad is referenced in Anthony Ashley Coopers Characteristics of Men, Opinions, Times. In Aldous Huxleys Crome Yellow, Anne Wimbush is referred to as the slim Hamadryad whose movements were like the swaying of a tree in the wind. George Eliots character, Philip Wakem, uses the term to describe Maggie Tulliver, in The Mill on The Floss, Book V, william Faulkners character, Januarius Jones, uses this term to describe a young lady in Soldiers Pay, Chapter 2. The translation of meaning discusses deities or spirits of the underworld, especially in Greek religion. The Greek word khthon is one of several for earth, it refers to the interior of the soil, rather than the living surface of the land. 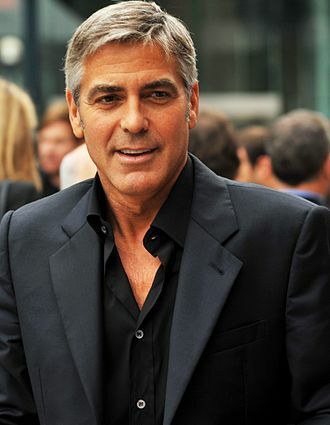 These include, but are not strictly limited to, Demeter. Nocturnal ritual sacrifice was a practice in many chthonic cults. When the sacrifice was a creature, the animal was placed in a bothros or megaron. In some Greek chthonic cults, the animal was sacrificed on a raised bomos, offerings were usually burned whole or buried rather than being cooked and shared among the worshippers. C. He does, note that this may be somewhat of an overgeneralization, the myths associating the underworld chthonic deities and fertility were not exclusive. 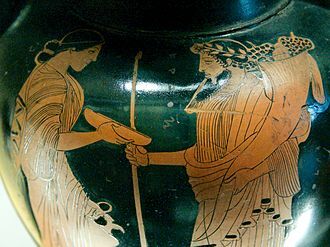 Myths about the Olympian deities described an association with the fertility, thus Demeter and Persephone both watched over aspects of the fertility of land, yet Demeter had a typically Olympian cult while Persephone had a chthonic one. 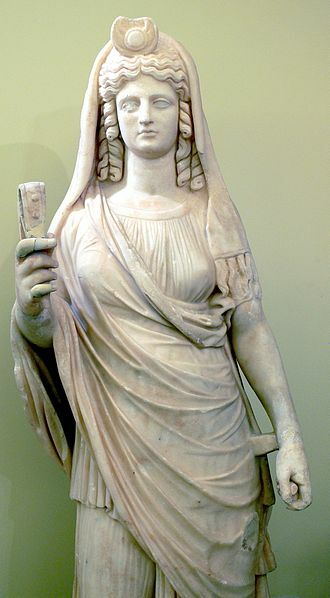 Also, Demeter was worshiped alongside Persephone with identical rites, and yet occasionally was classified as an Olympian in late poetry, the absorption of some earlier cults into the newer pantheon versus those that resisted being absorbed is suggested as providing the myths. The categories Olympian and chthonic were not, completely separate, some Olympian deities, such as Hermes and Zeus, received chthonic sacrifices and tithes in certain locations. 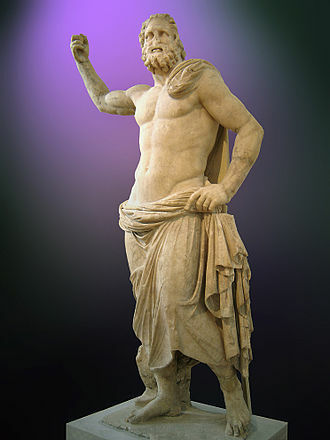 The deified heroes Heracles and Asclepius might be worshipped as gods or chthonic heroes, depending on the site, moreover, a few deities are not easily classifiable under these terms. Hecate, for instance, was typically offered puppies at crossroads—a practice neither typical of an Olympian sacrifice nor of a sacrifice to Persephone or the heroes. Because of her roles, Hecate is generally classed as chthonic. As well, the chthonic has connotations with regard to gender, in cultural anthropology, men associated with the above, the sky, and women associated with the below, with the earth, water of the underground, and the chthonic deities. In Greek mythology, the Hesperides are the nymphs of evening and golden light of sunset, who were the Daughters of the Evening or Nymphs of the West. They tend a garden in a far western corner of the world, located near the Atlas mountains in North Africa at the edge of the encircling Oceanus. The name means originating from Hesperos, Hesperos, or vesper in Latin, is the origin of the name Hesperus, the evening star as well as having a shared root with the English word west. Ordinarily the Hesperides number three, like the other Greek triads, since the Hesperides themselves are mere symbols of the gifts the apples embody, they cannot be actors in a human drama. Their abstract, interchangeable names are a symptom of their impersonality and they are sometimes portrayed as the evening daughters of Night either alone, or with Darkness, in accord with the way Eos in the farthermost east, in Colchis, is the daughter of the titan Hyperion. Or they are listed as the daughters of Atlas, or of Zeus, in another source, the nymphs are said to be the daughters of Hesperus. Nevertheless, among the names given to them, though never all at once, is the colour of the setting sun, yellow or gold. Pseudo-Apollodorus gives the number of the Hesperides as four, Aigle, Hesperia, fulgentius gives four Hesperides, Aegle, Hesperie and Arethusa. Apollonius of Rhodes gives their names as Aigle and Hespere, hyginus in his preface to the Fabulae names them as Aegle and Aerica. 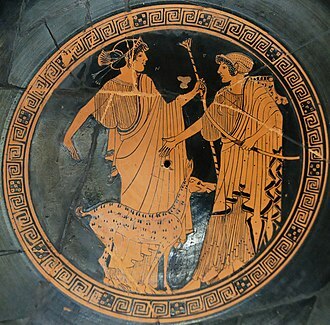 In another source, they are named Ægle and Hesperethusa, an ancient vase painting attests the following names as four, Chrysothemis and Lipara, on another seven names as Aiopis, Donakis, Mermesa and Tara. A Pyxis has Hippolyte and Thetis, petrus Apianus attributed to these stars a mythical connection of their own. He believed that they were the seven Hesperides, nymph daughters of the Atlas and their names were, Erythea, Hestia, Hespera and Hespereia. In the far west of the world, Hesperis is appropriately the personification of the evening and the Evening Star is Hesperus. In addition to their tending of the garden, they were said to have great pleasure in singing. The Pleiades, companions of Artemis, were the seven daughters of the titan Atlas and the sea-nymph Pleione born on Mount Cyllene. 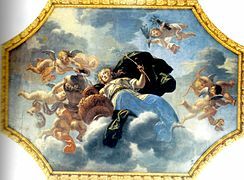 They were the sisters of Calypso, the Hyades, the Pleiades were nymphs in the train of Artemis, and together with the seven Hyades were called the Atlantides, Dodonides, or Nysiades and teachers to the infant Dionysus. They were thought to have translated to the night sky as a cluster of stars, the Pleiades. 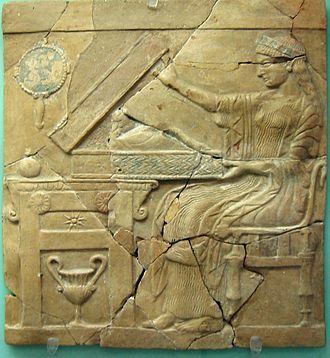 Classicists debate the origin of the name Pleiades and it ostensibly derives from the name of their mother, effectively meaning daughters of Pleione. However, in reality the name of the star-cluster almost certainly came first, Pleiades probably actually derives from πλεῖν because of the clusters importance in delimiting the sailing season in the Mediterranean Sea, the season of navigation began with their heliacal rising. 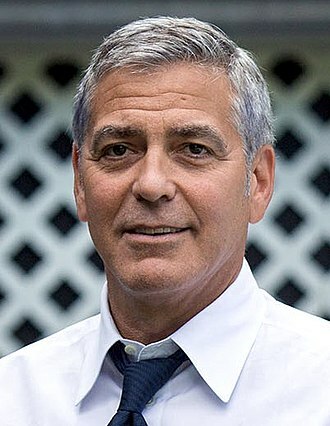 Several of the most prominent male Olympian gods engaged in affairs with the seven heavenly sisters and these relationships resulted in the birth of their children. Maia, eldest of the seven Pleiades, was mother of Hermes by Zeus, electra was mother of Dardanus and Iasion, by Zeus. Taygete was mother of Lacedaemon, by Zeus, alcyone was mother of Hyrieus and Aethusa by Poseidon. 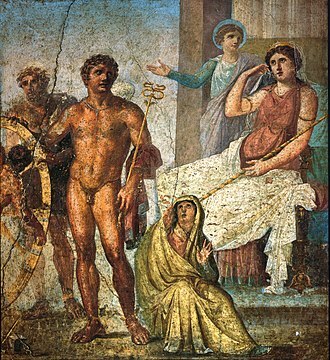 Celaeno was mother of Lycus and Nycteus by Poseidon, and of Eurypylus by Poseidon, sterope was mother of Oenomaus by Ares. Merope, youngest of the seven Pleiades, was wooed by Orion, in other mythic contexts she married Sisyphus and, becoming mortal, faded away. 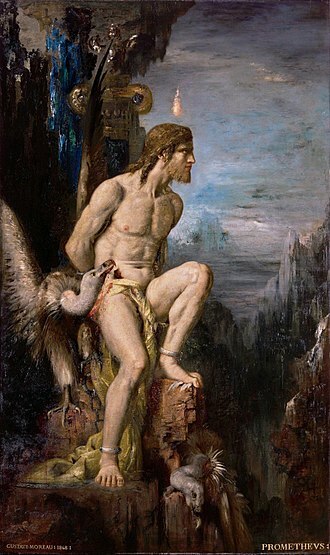 Sometimes they are related to the Hesperides, nymphs of the morning star, after Atlas was forced to carry the heavens on his shoulders, Orion began to pursue all of the Pleiades, and Zeus transformed them first into doves, and into stars to comfort their father. The constellation of Orion is said to pursue them across the night sky. One of the most memorable myths involving the Pleiades is the story of how these sisters literally became stars, their catasterism. According to some versions of the tale, all seven sisters committed suicide because they were so saddened by either the fate of their father, Atlas, or the loss of their siblings, the Hyades. Arcadia was a region in the central Peloponnese. 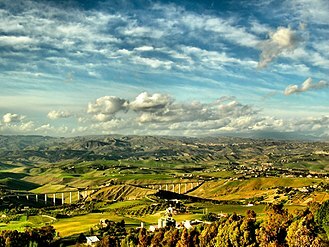 It took its name from the mythological character Arcas and in Greek mythology, in European Renaissance arts, Arcadia was celebrated as an unspoiled, harmonious wilderness. There is a regional unit of Greece of the same name. Arcadia was gradually linked in a confederation that included all the Arcadian towns and was named League of the Arcadians. It successfully faced in 7th century BC the threat of Sparta and they participated in the Persian Wars alongside other Greeks by sending forces at Thermopylae and Plataea. During the Peloponnesian War Arcadia allied with Sparta and Corinth, in the following years, during the period of the Hegemony of Thebes, the Theban general Epaminondas reinforced the Arcadian federation in order to form a rival pole to the neighboring Sparta. Then he founded Megalopolis which became its new capital, over the next centuries Arcadia weakened. 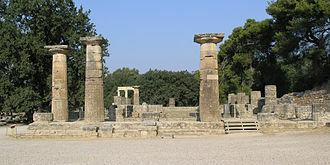 It initially subjugated to the Macedonians and the Arcadians joined the Achaean League, ancient Arcadia occupied the highlands at the centre of the Peloponnese. 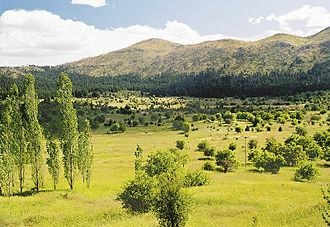 To the north, it bordered Achaea along the ridge of ground running from Mount Erymanthos to Mount Cyllene. To the east, it had borders with Argolis and Corinthia along the ridge of ground running from Mount Cyllene round to Mount Oligyrtus. To the south-west, the border with Messania ran along the tops of Mount Nomia, and Mount Elaeum, most of the region of Arcardia was mountainous, apart from the plains around Tegea and Megalopolis, and the valleys of the Alpheios and Ladon rivers. The Arcadians were an ancient Greek tribe which was situated in the mountainous Peloponnese and it is considered one of the oldest Greek tribes which settled in Greece and it was probably a relative tribe of the proto-Greeks who are mentioned by the ancient authors as Pelasgians. 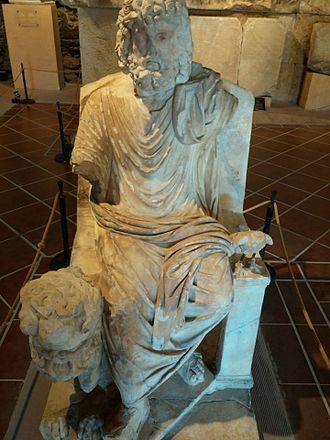 Whilst Herodotus seems to have found the idea that the Arcadians were not Greek far-fetched and this is testified by ancient myths, like the myth of Arcas, the myth of Lycaon etc. Arcadia is one of the regions described in the catalogue of ships in the Iliad, agamemnon himself gave Arcadia the ships for the Trojan war because Arcadia did not have a navy. 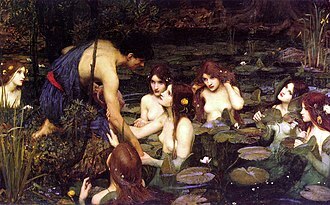 A Naiad by John William Waterhouse, 1893; a water nymph approaches the sleeping Hylas. 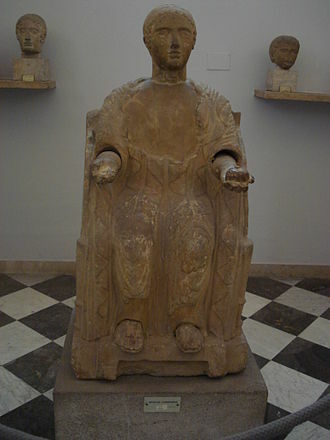 The spring Hippocrene, haunt of mythological Pegasides. Mount Helicon where Pegasus created the spring Hippocrene. Pegasus and Bellerophon by Gustave Moreau, 19th century. The Dryad by Evelyn De Morgan. Lost Pleiad (1884) by William-Adolphe Bouguereau. Potamides in a river. Nymphes au bain by Auguste G. L. Desnoyers, 1830. Potamides with a shepherd, painting by Henrietta Rae, 1909. 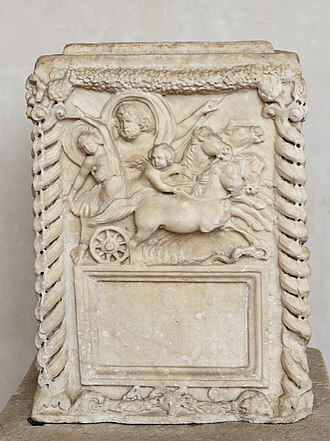 Nereus in a frieze of the Pergamon Altar (Berlin).